I really haven’t spoken about anything “Witchy” in a while. I guess when you’ve walked this path as long as I have, it’s just becomes part of your life – how you see and do things on a daily basis. “Magick” is a thread that’s woven throughout every area of your life. “Witch” is just who you are. One thing that isn’t talked about often is what happens when you’ve moved into that third stage of life. Childhood is, hopefully, a fond memory. The youthful years of your adulthood are passing or have passed. Your children are grown. You may even have grown grandchildren and possibly great-grandchildren. “Senior” is the term used in our culture to describe this phase of life. At a certain point, you may even find yourself or others refer to you as elderly. What does that mean? I think the answer to that is very individualistic. Society places too many stereotypes on us and growing old is no different. If you’ve gotten to know me, through my writings, you know I don’t conform easily. (It leaves a bad taste in my mouth…and my mind!) For this reason, I believe that, as we age, we each need to decide what reaching those “senior” years means for us personally. Mentioning you’re a senior citizen conjures images of white-haired, hunched over, bespectacled, wrinkled men and women who have outlived their usefulness for many people. No one need buy into this stereotypical image as they age. You are, and will be, what you believe you are and will be. Yes, you do have a choice. For someone who follows the path of Wicca, the view of entering this third stage of life is viewed differently. We give recognition and honor to our Elders with a rite of passage that formally bestows the status of Elder upon them. This takes place in your senior years, but it can also happen earlier if you have completed some task or goal within the community that is recognized as being worthy of elder status. We value the wisdom and experience of the older members of our community. 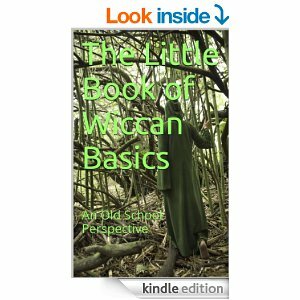 Someone who is considered to be an Elder in the Wiccan/Pagan community is considered a fount of knowledge and experience. Their counsel is sought out when our own limited experience leaves us with more questions than answers. Male or female, if they are serving as Priesthood to their Coven, they feel the approach of the stage of “Elder” and know it is time to step down and allow a younger member to take their place. 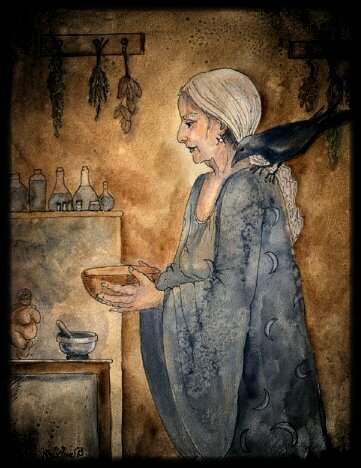 Although an Elder of Wicca never forgets or becomes unable to wield and control the energies of magick and Nature, they know that responsibility and honor of doing this belongs to more youthful years. Best to step aside. In our maturity, we also recognize that there are other tasks that lie ahead of us. We know that, unlike in the mundane world, we have retired but not resigned from being part of our spiritual group and community. Besides the role of counselor/spiritual adviser, Elders are the keepers of “old knowledge”. This is not only spiritual and magickal knowledge but keepers of ways of doing things that might be considered mundane. What kind of things? How about spinning, weaving, sewing by hand, canning, preserving, etc.? There are many things that we have either become reliant on machines and tech to take care of for us or the end product is something we buy over the internet or in a store. If all that were to disappear tomorrow, many would be at a loss as to how to get their needs met. 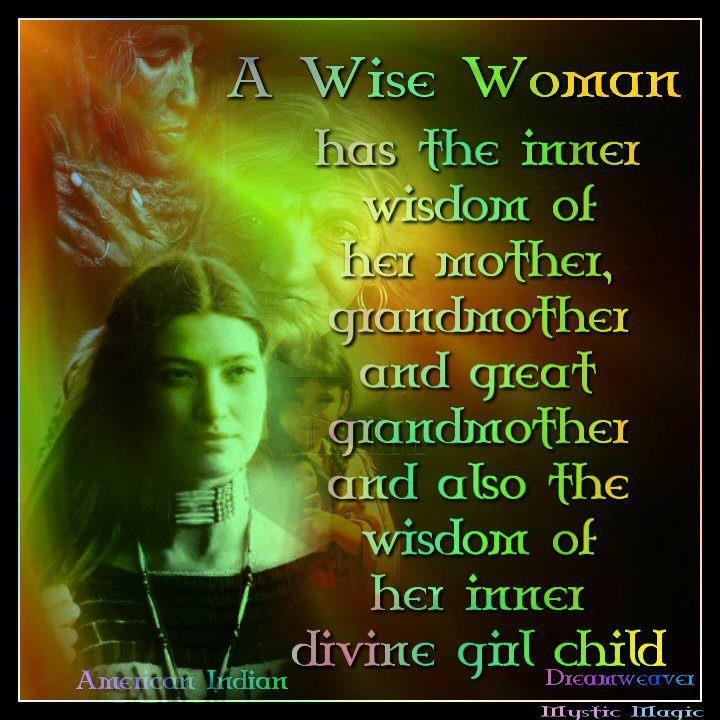 Elders, who often hear the younger generations tell them to come into the 21st century, are keepers of this common-sense, practical knowledge or at least a piece of it. While we believe that change is good, we also believe the “old ways” should never be forgotten. Who knows when you might need them? As you walk the path of the Elder, you recognize how, just like every part of the journey through this lifetime, it’s so very individualistic. You may still teach, in many more respects than just Wicca. You may continue to be a channel for healing others, because that flow of Universal energy is always available to tap into and use in helping others and yourself. You may even be called, upon occasion, to stand in the center of that Circle as the living representative of the Goddess or God. Being Wiccan, you know you will never be considered to have outlived your usefulness – nor will you ever think that way about yourself. The true magick of this path is knowing that every day you are here, there is a reason, a purpose for being here. It may not be apparent at the time, but it’s there and you know it. When you’ve done all you came to do, you will look Death in the face, smile and take his hand, at peace with a life well lived. May you always find peace and purpose on your journey. This entry was posted in Metaphysics and tagged Elder, Paganism, Rites of Passage, Sage, Samantha Herron, Self-Empowerment, Senior years, Spirituality, Transformation, Wicca, Wisdom. Bookmark the permalink.